When one’s life changes, do others “accept” these changes? Can you return to previous employment with limitations and be “accepted” as a functional employee without comparisons? The question is simple: Who “accepts” and who doesn’t? Why? If “acceptance” were primarily based upon the survivor, why are there so many divorces and relationship breakups? Everything is not the fault of the survivor, but that is where the blame lies. It’s easy to blame the vulnerable! Is “acceptance” internal or external? Is “acceptance” subjective or objective? Who “accepts” and who doesn’t? Why? It’s easy to blame the vulnerable! Sounds like placing blame onto people who are dealing with struggles with medical issues falls short of educating those who are in the patient’s daily life and can change the outcome by understanding. Is “accepting” the proper term? How can others “accept” without knowledge? How would one just pick up and leave the former self behind? Don’t ponder that idea long. No one wants total amnesia, so dealing with what one has left and combining the “old” with the “new” is the best one can expect. This idea creates two total living experiences within one mind, body and soul combined to make a unique individual on an unplanned path that was changed by injury or illness. At this point the person has no choice, but to change plans and take the path that works under the current circumstances. Often the body no longer works in the ways it once did, and often these physiological changes are permanent. Extremities may feel numb and weak. Strength may have improved over time, but numbness lingers, pain persists, and living in a body that is not familiar is difficult even if the brain heals. Often, it’s like living in an unfamiliar body. The brain is the master computer to ones entire body. When the computer chips are scattered, shattered, or broken, the body doesn’t respond properly. Pain is in the brain. Numbness is in the brain. Strength is in the brain. Thinking is in the brain. If the brain doesn’t provide the proper circulation, nutrients, hormones, and messages to other areas of the body, the body cannot work properly. Is “accepting the proper term? How can others “accept” without knowledge? One short circuit and it throws off the entire mind, body, soul connection. 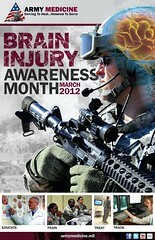 There are many short circuits with TBI, spinal cord injury, and illness. What a complex system most never think about until it happens to them! Our brains, bodies and lives are so complex, as we are individuals and it’s a mystery that seems to be so individualized that one needs to take control of every opportunity available to enhance their own well-being. There are too many variables to ever identify all the causes and effects of life’s problems. You are in charge of your own well-being. Finding the proper path for one’s self will be in your own hands and your belief system. No one can duplicate your entire being and experiences. Imagine more than 7 billion people, all unique! Finding medical treatment for a small percentage of these 7 billion people in 2013 in all likelihood and probability does not include the least understood conditions. Unraveling the mysterious brain, spine and many chronic illnesses are far from understood and currently just scratching the surface. Some physiological problems might be textbook cases, but not traumatic brain injuries. It’s time to think outside that box. We need more scientific researchers to solve medical mysteries. Case studies are the beginning of this learning process. Does it need to be a celebrity that becomes brain injured before others become aware and advances begin? At what point does it need to be before the media promotes a devastating injury? As though no one else’s life was important. Every individual on this earth deserves the right to live and the right to be treated with care and compassion. They also deserve to know how important their life is and their life counts regardless of their level of education, career, family, and all the other variables. Healthcare is truly a limited area of expertise that affects every individual in the world! One has met the most amazing janitors, housekeepers, waitresses, waiters, cooks, packers, clerks, and so on. Without these beautiful and dedicated people nothing would work properly. It’s a grounds up idea. Without the base, it’s impossible to build upward and around. Additionally, we need to look at brain and spine injury, disease and illness, from an individual perspective to solve future health problems. Why are we more concerned with celebrities than the common everyday person? The building blocks should never start at the top. The more complex the variables the more difficult it is to unravel medical mysteries. When scientists begin listening to those who have traveled this journey medical advances will breakthrough at alarming rates improving quality of life issues. Progress will drastically improve treatments, leading to cures. Cure rates of diseases, brain and spine injuries, and illnesses will become insurmountable. Looking forward to medical advances one person at a time. How have you felt when your blamed for things beyond your control? excellent blog. There is a major problem in he field of heathcare. If a healthcare worker sees a pt. walking around the room banging their head on anything and everything it’s looked at as a part of the diagnosis they were given. No thought to the possibility of this pt dealing with a new problem and the result is headbanging to the extent of self injury. They may have already had test A,B, and C before, but no new testing is coming their way because of new manifestations. BUT, IF the same thing were happening to the healthcare professional it would be a different story. Every test in the book would be happening. All the medical professionals would be lookig for an answer to these new behaviors. When anyone suffers with something askew in the brain, that causes say an odd behavior, they are put under the mcroscope and the hunt is on to figure out how to get rid of you. Even though in spite of your disconnect in the brain, you can still carry on your profession at an acceptable level. Many with TBI are at a great disavantage, although since you are walking the shoes you are in, you can give the “professionals” what they should be looking for “a first hand account of how your TBI effects you. But as many have said before, they just don’t care and blow you off. Be encouraged by this blogger (Edie) to get your word out even if it’s through a blog such as this. God Bless each and every one of you, because its only throught the help of Him that you can give a tiny glimer of hope to others. Thank you for the compliments. You are right, many patients don’t get updated tests when their symptoms change, but they should. It’s just assumed it’s one and the same diagnosis and by the time anyone MIGHT act on it, it’s often too late! As for healthcare professionals working with any type of brain dysfunction including: ADD, ADHD, Depression, Anxiety, PTSD, TBI, Stroke, it’s pretty much unheard of unless the employees don’t disclose the information and I highly recommend NO disclosure of personal information because they will find that and a million other reasons you should not have your job! The brain is arguably the most important and vital part of the body that is required in order for the body to undertake different functions accordingly. Yes, and without a proper functioning brain the entire body goes haywire and so do those around them!